Blouse by STEFFEN SCHRAUT with slits at the 3/4-length turn-up sleeves. Generous fit in an utterly trendy, airy design! 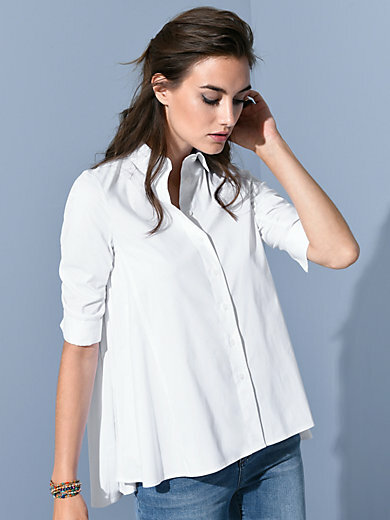 The essential white blouse in the oversized style gains a chic look thanks to the sophisticated cut with tailored sections and a longer back. With a shirt collar, full length button band and pockets in the side seams. 60% cotton, 35% polyester, 5% elastane. Length approx. 76cm/30ins. The blouse is machine washable.